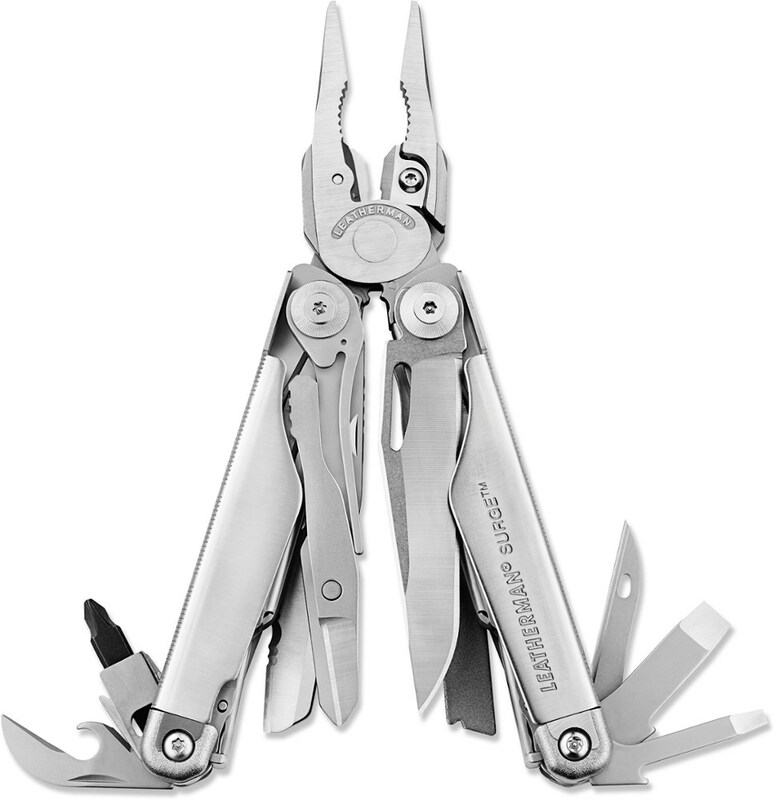 A decent value given the tool set, but recognize that this is a physically heavy multitool intended for light or medium-duty use. 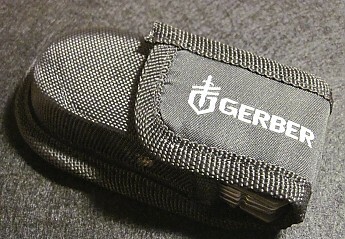 The Gerber Suspension arrives with a cheaply made pouch that is functional, but which I would not expect to endure protracted hard use (Gerber calls this ballistic nylon, but this seems a generous description). Initial fit and finish appear decent; closer inspection reveals rougher edges, notably on the spacers between tools. The Suspension feels heavy in the hand; my impression was that thicker slabs of metal were used because they were also of lesser quality that some multitools' materials. I have not yet found details about the steel itself used in the tools, but it felt soft to me when I sharpened it—so yes, it will take an edge easily, and yes, it will likely lose it fairly quickly, too. Knives open with thumb studs, but they require a concentrated effort as opposed to an effortless opening. Over time, perhaps, they will loosen for more fluid movement. Tool locks are awkward to release; it is a two-handed operation for me. Pliers: Spring-loading is a nice feature some of my other multitools lack; it makes small adjustments quick and easy, as when I was shaping a piece of wire with fine bends. There is some disconcerting play in them, though: looking down at the points, gentle tugs left and right on the handles result in the needle nose points sliding back and forth. Wirecutters work fine; my concern here is long-term sharpness if, as I surmise, the steel here is on the softer side of the Rockwell scale. I have not had need yet for what appears to be a hint of a wire stripper and the base of the cutters--it is not listed above, and it is rather oval in shape rather than round, so perhaps it is not intended as a tool, but it might work in a pinch. Fine (straight) edge knife is beveled on both sides of the blade and--as I noted above--absorbs sharpening efforts easily. This was necessary, because mine arrived with only an adequate edge from the factory. I rather liked the length (see picture above), which--while on the small side--allowed me an admirable level of control. No one should have any illusions about desperately attempting in emergency battonning of kindling, though! Serrated edge knife is likewise adequate; it slices paracord rather effortlessly, so the edge design seems to have been well-conceived. As with many such blades, this is sharpened on one side only. The saw is difficult to fish out of the tool's shell--it has a notch for a fingernail near its tip--but it performs adequately once you get it started. At 1 7/8" you aren't going to chew up a lot of real estate with the saw, but once a cut is started, it does fairly well and is a useful tool for notching, provided straight cuts of small-diamter wood, etc. The crosspoint screwdriver (note that it is not labeled Phillips--nor is it a Phillips!) is useless; an awl would have been a better tool here. Imagine a cheap Phillips that has taken a hammer blow to its side and you'll get a sense of this "tool." Definitely the weakest link in this multitool. There isn't sufficient bite in this design to get the job done. I found it slipping out of Phillips head screws (sorry, Gerber, I don't have "crosspoint" screws in abundance around my place). The scissors are the first thing I expect to break: they have to be opened and then folded into position for use, and they feature a fairly powerful spring; my concern stems from the rivet that holds the blades together, which makes me wonder about long-term use; the powerful spring is going to put stress on this joint. The scissors cut as well as one would expect for a tool of their size (5/8" blade), and easily cut paper, fishing line, and even 550 paracord after about three successive snips. Design flaw: the scissors require one to push down on the exposed blades to close--good thing they aren't shaving sharp! The small and medium flat blade screwdrivers are okay, but nothing great: there seems to be some edge wear from my light use of them, and the smaller of the two does not have a sharp, squared off edge but rather came new with a somewhat rounded edge. I suppose I could address this in my shop if so inclined. The can opener and bottle opener are found back-to-back on the same tool, the bottle opener closest to the tool body (works fine) and the can opener further out the same tool arm. 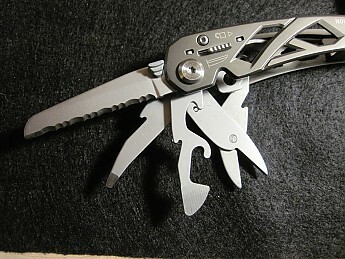 The can opener is not as sharp as some I have on other multitools, and I was initially skeptical of its utility. Upon trying it, though, I discovered that Gerber may be on to something here: the longer shaft of the can opener (coming as it does after the bottle opener) offers greater leverage that a shorter tool would, and with greater leverage obviously comes greater ease of use. However, the blade remains rather small, and despite the greater leverage, one must still contend with a lot of cuts to open a can. The lanyard hole feature is, well, a lanyard hole: a flat piece of legal that can tuck into the body of the tool if so desire or which is perforated with a a hole that appears to be about 3/16" in diameter to accommodate a lanyard, key ring, etc. I will update this review after a year of use. For now, let me conclude with a summary assessment. 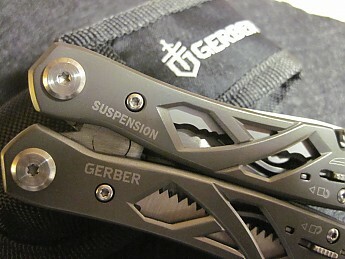 The Gerber Suspension is attractive, and I like the selection of the tool set that comes with this tool. 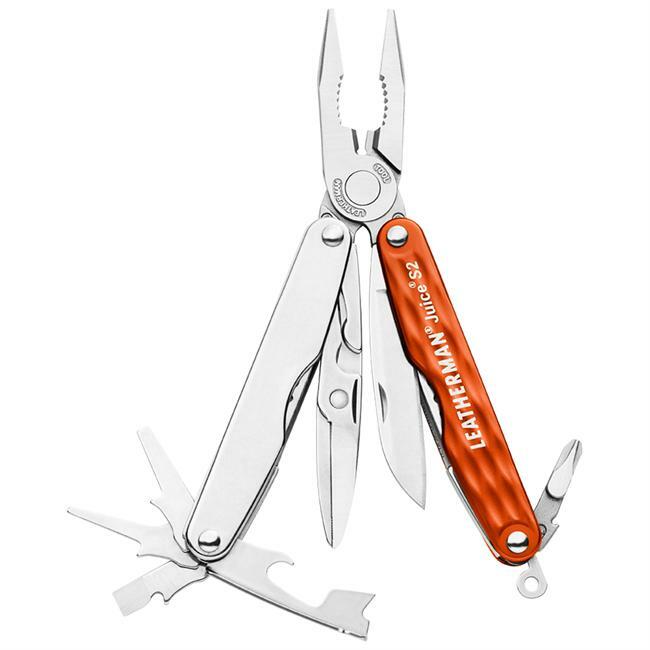 It is a light to medium duty tool for sure, and I have noted above some concerns I have about material quality and long-term durability, but it also has a much nicer appearance and is much more useful that a lot of inferior multitools in this price range. At 9 oz. it is heavy, saving only .6 oz. to the SOG PowerAssist, which in my experience is a superior, more heavy duty tool all the way around; the SOG is also about twice the cost of the Suspension. My point: if I am considering a 9-10 oz. 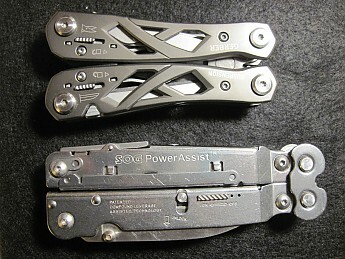 tool to carry with me, it would be the SOG. If I am looking for the value-based choice, it would be the Gerber. 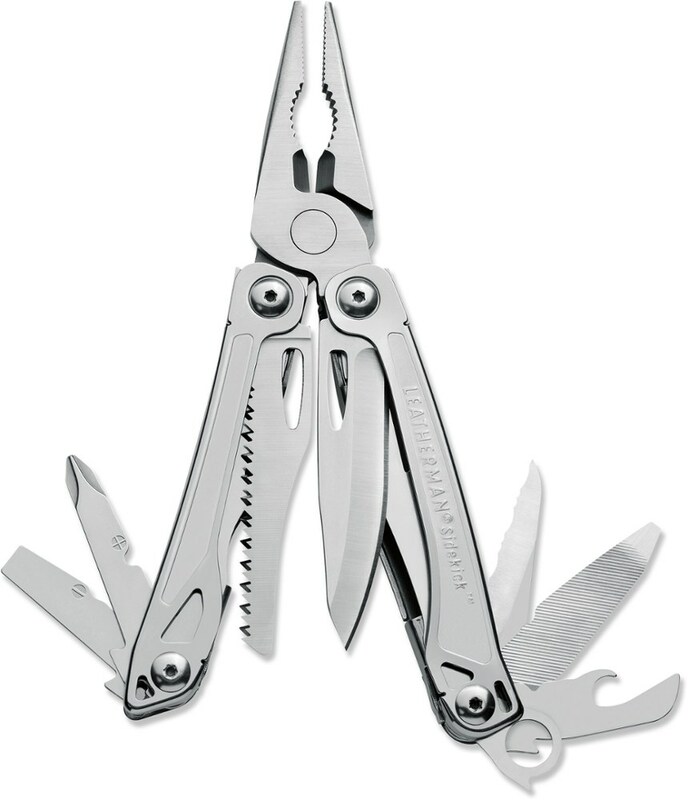 I'll take my Leatherman Squirt on long backpacking treks, reach for the SOG PowerAssist for around-the-house tasks, but the Gerber Suspension I'll keep handy—in my daypack, in my truck, in places where it would be nice to have a tool of this size and capability. You get what you pay for; if you recognize that, this is a decent economy option. Broke half the pliers during everyday use. The metal changes color way too easily when used with a fire starter, however the back of the saw blade is nice and sharp to throw a good spark. But I broke the pliers during everyday use. I was at home and didn't feel like going to the garage for a real set of pliers and these were in my pack from just coming from trail. Three or four strenuous tugs and the one side of the pliers snapped at the base. Not a strong composite. I've had this product for a few years now, and it has come with me into a variety of terrain. It has held up quite well so far. I have had to buy a knife sharpener to clean up some of the blades, but as long as you keep it lubed, try and sharp it does everything you could need. I would not use this as an everyday multi-tool, but for moderate camping use you can't beat the price! This multi tool is very heavy, looks and feels beefy, but the first time I used the can opener it broke. Good knife, sharp good pliers, good serated knife. All tools lock open with a locking mechanism. Can opener broke under normal use. A good tool for the most part. 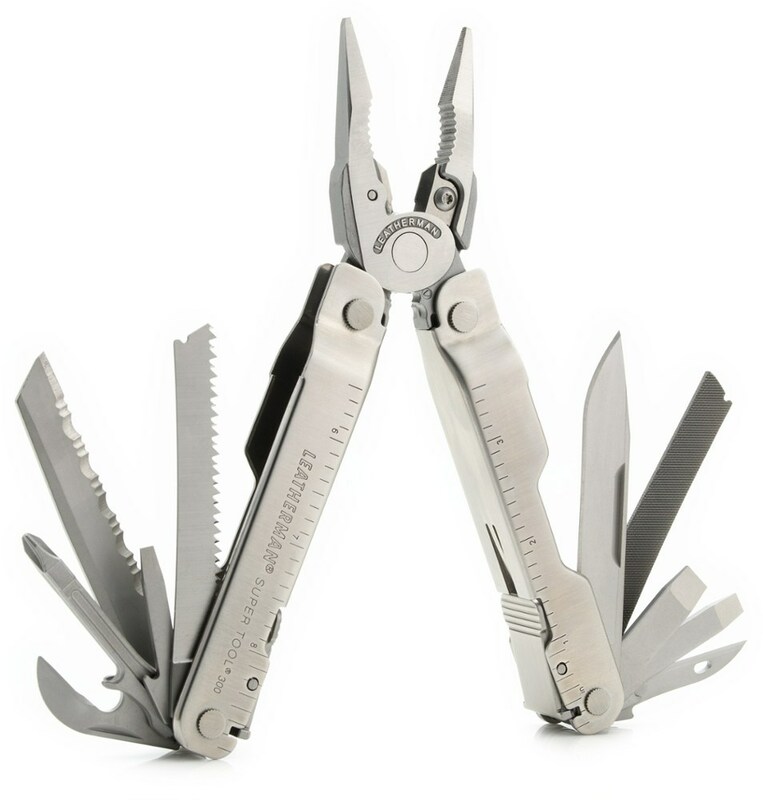 A lot cheaper ($28 Amazon) than Leatherman but I guess there is a reason. The latching mechanism on one side failed after 6 mos of moderate use, and one of the rubber bits came loose. Sent it back to Gerber (no receipt required) and quickly got back a new one. I wonder if this latch failure is common; the rubber bit isn't important. Bought the tool kit which works well, takes std 1/4" bits, so you can add/exchange bits as needed. But the both the pouch that came with the tool kit (holds tool and tool kit) and the one that comes with the tool are poorly designed, placed on your belt vertically it hangs out as the loop is placed unnecessarily low. But the pouches do have two other loops so you can put it on your belt horizontally, that works ok.
Business and Professional technical environment. Good for having for technical things when you don't want to carry around an entire tool bag for odd jobs on things. 11.2 cm (H) x 6.5cm (W) x 3.2 cm (D) pouch. It is very compact and mounts vertically as well as horizontal on the belt, which makes for nice low profile in a business/technical environment. Unit itself folded and free from pouch. 9.5 cm (h) x 4.5 cm (w widest point) - 3.5 cm (w narrowest point) x 2 cm thick. So it is pretty compact. Packed full of a lot however. I mainly use the small blades and the pliers though. 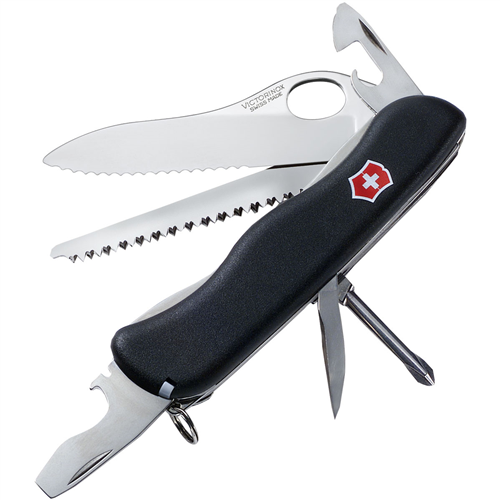 Full articulating handles allow pliers to be concealed within the device as it is folded up. the lock is great and an improvement over the 600 series which is a 12 some year old design. Frame is shared pieces of aluminum and stainless steel. So don't beat it with a hammer. Four folding tools per side. The arrangement also allows you to deploy them with the plier in its concealed state, and gets you past the 1/2 part of the handle that was in the way with the 600 series. What this means is you can use a knife or finer tool on board while having no handle obstructing the working area or object that your operating on. The blades and saw are rather short, but they are robust and do provide plenty of business edge for your general uses. Perfect for boxes. They are thick enough steel (2mm spine) to allow bearing down hard on dense up to 2 layers of hard cardboard to cut! 2 screw drivers, One can opener appendage for bottles and cans. 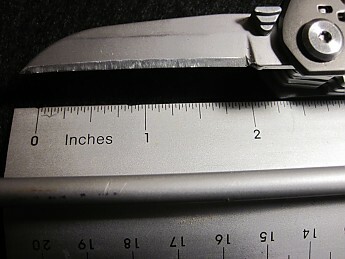 One saw blade double razor tooth, internal pitch. Fine scissors, I like this because you can now have a scissors in the field. Pliers is a short needle nose and has a decent wire nipper installed near the fulcrum point. They spring open and allow better use for electronic components. 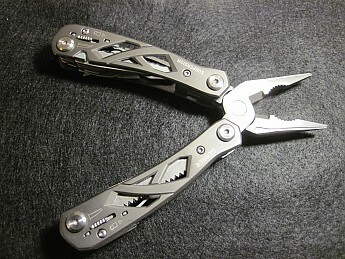 They are also machined well and you can see the higher quality of this pliers too. All the joints on board are nice actions and the unit is very solid to operate. I like them and only knock the .5 of star rating here because of the phillips head screw driver. It does not turn a phillips head screw. I am going to re grind this driver to some other thing. 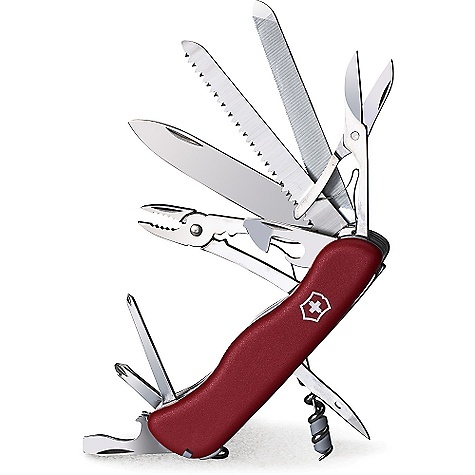 Perfect for the technical person, the outdoorsman and most of all the professional business type person that will get this for themselves or as a gift and leave it unused for years in a drawer until a life changing event where one of their kids or grandkids will ask for it and ultimately use it in the proper environment. If you plan on owning it and using it. It is nice. If you plan on giving it as a gift it is nice too. I've owned a lot of different brands and this one is top notch. The quality is great. 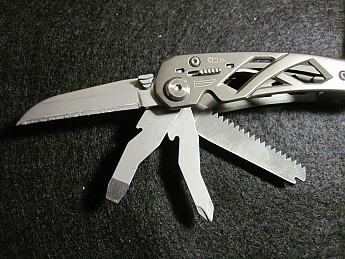 I enjoy the locking blades, which are great when you are really using the tool in a tough manner. It has everything you need for tools and then some. I never leave without it and my gun by my side.